If you are facing legal issues, you may feel stressed and overwhelmed. The Law Office of Steven C. Girsky helps individuals, families and businesses in Tennessee and Kentucky with a wide range of legal concerns, from divorce and family law to personal injury to business law. With more than 20 years of experience, attorney Steven C. Girsky provides the experienced representation and personalized service you need to overcome the legal challenges you face. 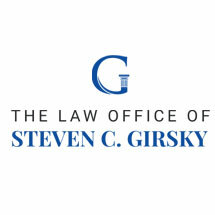 When you step into the law firm of Steven Girsky, you are not just a number. Attorney Girsky works personally with each client throughout the legal process. He will help you identify plausible options and develop creative strategies that address your concerns and protect your interests. This kind of approach is especially important in matters of family law. Attorney Girsky will help you resolve difficult issues such as divorce, child custody and complex property division in the most stress-free manner possible. He also has significant experience assisting military families involved in military divorces. Many of his clients are stationed at Fort Campbell, though he also represents those who may be currently deployed. Attorney Girsky's family law practice also includes representation in adoptions. The law firm also represents clients who have suffered personal injury in motor vehicle accidents, dog bites and other accidents, as well as small businesses in business formation, litigation and other legal concerns. Whatever your legal issue, the Law Office of Steven C. Girsky provides the honest, open communication and dedicated representation you deserve. Attorney Girsky will keep in touch with you throughout the process and promptly answer your questions in person, by phone or e-mail. In every situation, he seeks positive solutions that put you in the best position to move forward with confidence.